Science agrees: People are happier and more productive when they get recognition for their efforts. Send acclaim to your employees and coworkers with Praise. Deliver in a chat, or for wider recognition, send it in a channel conversation. Revel in the good vibes. 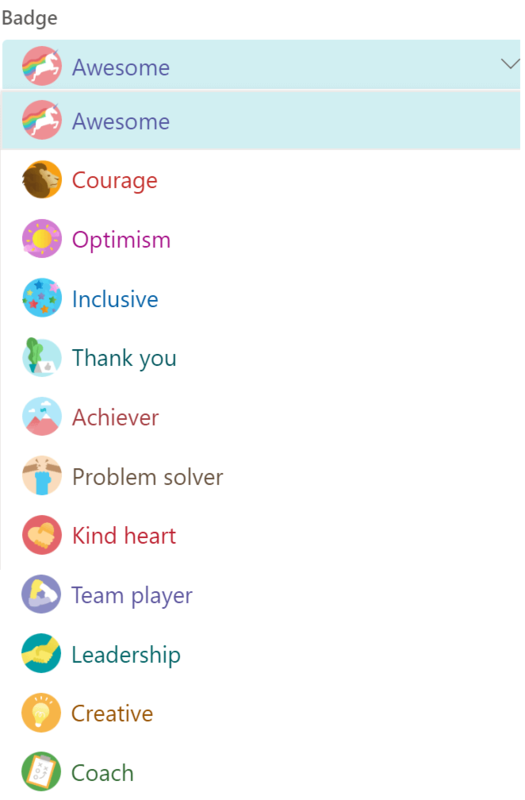 Below the space where you write a new message or reply, select Praise or click More options to find it. Add the name of the people you want to praise and an optional description. Once it's ready to go, click Send. Choose your brand of Praise. Below the compose box for a new message or reply, tap More options > Praise. Add recipient(s), and then tap the note area to add a note.